These and other factoids make clear that patent infringement is alive and well in the United States, most often to the financial dismay of patent-holders who spend untold hours and sums of money trying to protect their intellectual property—and the marketplace edge often reliant on those assets. However, what if rather than issuing the Cease and Desist and otherwise going the exhaustive and expensive litigation route attempting to prosecute inadequately responsive offenders, patent owners instead strategically engaged said offenders in ways that boost their own bottom lines, accelerates growth, raises capital, and expands market share? While this might sound like a far-fetched notion, it’s exactly what Rebounderz Family Entertainment Centers is doing… with success. Having serially been in situations where other competitive businesses were utilizing industry-leading materials and methodologies for which the company holds patents, I’ve taken a gutsy and rather ingenious approach. Rather than litigating with the sole intention of shutting down the offenders or certainly their use of my intellectual property at the very least, I’ve instead adopted a strategic partnership mentality, enforcing my patent rights in a way that’s earning the company significant ancillary revenue streams and hastening corporate growth. Strategize ways to near-term and long-term monetize. Create new opportunities together in a joint venture or strategic partnership. New services, additional product lines and spinoff businesses can be created to benefit both parties. Just because an entity has infringed on a patent does not mean that they want to or intend to continue infringing in the future or that they are unscrupulous. Clearly lay out a plan that is win-win for both parties and work together to build both bottom lines. Strategize how you and the infringing party can work together as strategic partners ongoing, for the long-term, in order to sustain value. Explore if the relationship can evolve to possibly work together to sell additional products or services that you were previously not exploring or that didn’t make sense in the short-term. There are several ways the relationships can be extrapolated for mutual gain. It’s just a matter of aptly conveying the value your organization brings to the table, not the least of which is the patent license or usage opportunity for the party that would otherwise have neither. Offer a licensing and/or royalty fee for continued use. While you should certainly have a Cease and Desist letter at-the-ready, the other party may actually be unaware of their patent infringement to begin with. Most good business people want to do the right thing and don’t intentionally violate a patent. Develop a program offering a usage license or royalty fee for the life of the patent either payable in a lump sum, as annual payments or as monthly payments to make it easier for the infringing party to budget for. Your patent attorney or your company’s corporate counsel can readily help create this license agreement to help protect your company as well as the ownership integrity of the patent itself. Make your outreach binary; either work together to monetize or face legal action. Try to give your patent offenders options that make it easy and attractive for them to work in synch with you. It’s not hard to open your net wider to provide new and creative solutions, and opportunities abound. These include 1) providing a license for the length of the patent; 2) selling a license for a shorter period; 3) providing an outlet for them to sell you their business if that is their intention, or if there is little opportunity to collect a license fee; 4) suggesting operating as a joint venture or partnership such that your patent license serves as your investment into the new entity; 5) creating new products with the infusion of the patent that each party could bear responsibility for selling; 6) developing a scenario whereby both parties could come together to sell both companies to a larger entity, such as a private equity firm that may purchase both businesses. Get a sense of intent and beware the “patent pending game.” Some infringing businesses and manufacturers will claim to have patents pending; however, all too often these companies only have patent(s) “pending” that are actually infringing on perfected patent claims of another party. So be sure semantics isn’t getting in the way of everyone’s clear understanding of the legal situation and real ramifications. Vehemently protect your well-earned patent holder rights. You achieved patent protection for a reason, and by all means file everything necessary to keep the patent valid and unencumbered. Let the industry know your intentions so there is no misconception of who owns the patent, who has the protected claims, and the rigorous legal action that will be taken against anyone violating your patent’s protected claims. Take an offensive strategy by ensuring patent infringers know with specificity how your claim(s) are far superior than their designs. To accomplish these objectives, have your attorney write letters to the patent infringers as soon as possible, outlining exactly how, when, where and why they have misused your patent(s) without a proper license. Continue aggressive follow-up and take pictures and collect other evidence, as appropriate, of how the infringers have illegally utilized used your perfect patent. Ultimately, have some bite in you. Always be willing to act and pursue legal action if need be. But, do make every attempt to monetize before going this route as one company’s mistake could very well be your good fortune. 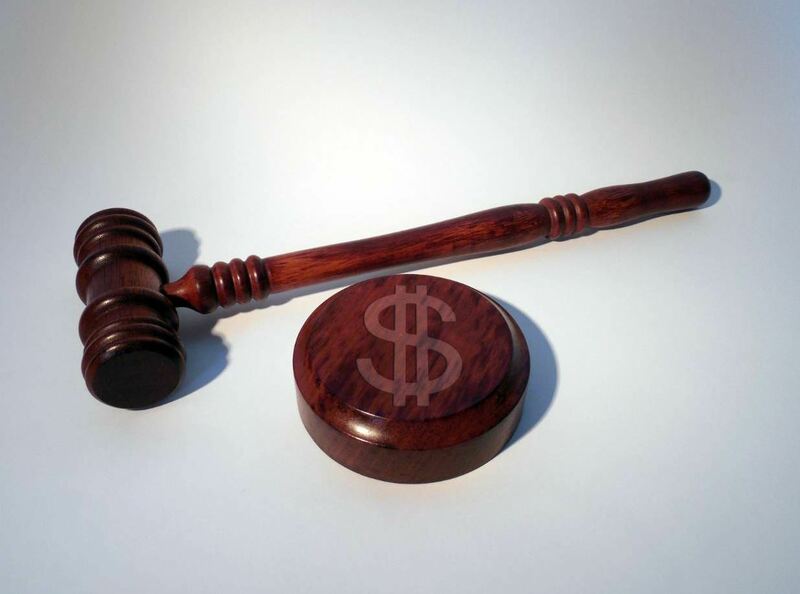 While we’ve found it highly prudent to work with infringing organizations as strategic partners and settle patent disputes through lump sum or monthly payments in order to reduce ongoing legal costs for both parties, there are some instances where it’s necessary to use legal means to make patent infringements work in your favor. In my own experience, my company has settled suits by having the infringing party purchase our patent license, allowing them to continue to operate their business using our three (3) perfected patents that cover 59 claims. Tim Murphy is CEO, principal and exclusive commercial real estate broker of Rebounderz family entertainment centers. He has coached executives and businesses best practices from 30+ years with 120+ brands and 8,500+ locations as CEO, president, COO, CFO and advisor with international franchise, entertainment, restaurant, food, retail, resort, theme park, service, manufacturing, development, and real estate for public, private, startup, and private equity companies.